The birth of Jesus brought unexpected visitors from distant lands. The Magi were guided from the east by a star. When they reached Jerusalem the men asked, “‘Where is the one who has been born king of the Jews? We saw his star in the east and have come to worship him.’” (Matthew 2:2) The news reached Herod and led to an immediate reflection upon the scriptures. After a consultation with the chief priests and teachers of the law, the malevolent King Herod was able to advise the travelers that scripture’s promise was for the child to be born in Bethlehem. It reminds us that the star may guide us, but God’s word is necessary to help us receive the full message of Jesus coming into the world. The prophet had written, “But you, Bethlehem, in the land of Judah, are by no means least among the rulers of Judah; for out of you will come a ruler who will be shepherd of my people Israel.” (Micah 5:2) Those words sent the Magi on their way to Bethlehem. Thanks to the star that stopped over the place where the child lay, the Magi found Jesus and worshiped him. “Then they opened their treasures and presented him with gifts of gold and of incense and of myrrh.” (Matthew 2:11) Our hope is that people today, like the Magi, will find Jesus and worship him. God’s word shared by God’s people is the key. It’s the light. 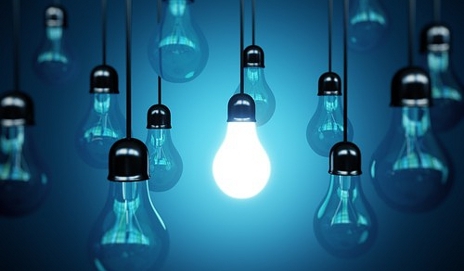 The average household in the U.S. has about 40 light bulbs. When people change them they sometimes look into energy efficient lighting. We have LED lights in our garage and although they are long lasting, these bulbs take some time to reach their full brightness when turned on. God’s word is referred to as light. “The commands of the Lord are radiant, giving light to the eyes.” (Psalm 19:8) Like some energy efficient light bulbs, it takes awhile for truth to come to full measure in the lives of people. The problem is not the light but the people with whom we are sharing it. So we must not give up on them. God’s word in us and from us is gradually unfolding, giving light. Eventually it brings understanding when we keep sharing and keep reflecting God’s luminous truth. We read, “The unfolding of your words gives light; it gives understanding to the simple.” (Psalm 119:130). It simply takes time for the light to unfold and reach its full brightness in the lives of people. Our Lord told us, “You are the light of the world. A city on a hill cannot be hidden.” (Matthew 5:14) We’re to reflect God’s word and God’s truth in a dark world. Martin Luther King Jr. once said, “Darkness cannot drive out darkness; only light can do that.” We’re never to be turned off, but to always keep shining. Let’s shine faithfully for our Lord in the coming year!